We all wanted to have a healthy body and as we strive to do that we should be disicpline sand really determined if we want to attain the body that we want. 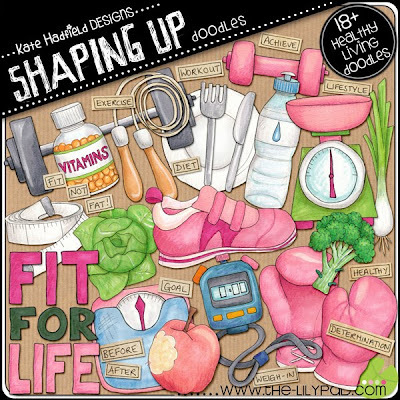 If you are documenting your health change or your dieting days through digital scrapbooking here's a SHAPING UP doodles by Kate Hadfield that you can use on your layouts. This doodles are sold at the Lily Pad for $4.49. Whether you're into exercise, slimming pills, or eating healthy foods, you can always document your weight loss journey.